The City of Cedar Hills utilizes paperless billing. This means, if you have an Internet connection, an email address, and a city account number, you can view current and past statements online at XpressBillPay.com. Once the account is established on Xpress Bill Pay, select the paperless billing option. Those who do not opt out of paper billing or wish to continue receiving paper statements will receive a monthly fee of $1.35 on their bill for the pass-through cost of printing and mailing the bill. While on Xpress Bill Pay we encourage you to setup automatic payments using a credit or debit card or a checking or savings account. Payments will also continue to be received in the 24/7 drop box in the fire station parking lot on Cedar Hills Drive or at the city’s front desk during regular business hours. View step-by-step online payment instructions. Q: I am moving into a home in Cedar Hills. What do I do to put services in my name? Download the appropriate form and submit it to the city office. A $50 setup fee is due with the application. Q: I am moving from one home in Cedar Hills to another one? What do I do to put services in my name at the new home? Also, what do I do to cancel my services in the old home? Download the appropriate form and submit it to the city office. A $50 setup fee for the new account is due with the application. Q: What services are provided by the City of Cedar Hills? The city provides water, sewer, garbage, curbside recycling, and pressurized irrigation services to its residents. The city also bills for storm drain and Central Utah Water Conservancy (CUP) fees. Electricity is provided by Rocky Mountain Power and gas by Dominion Energy (formerly Questar Gas). Q: Where can I deliver my utility payment? You can deliver your payment to the city office 24/7, or a drop box is also located at the parking lot west of the Public Safety Building at 3925 W. Cedar Hills Drive. Payments are due and payable upon receipt of the bill and are received without a late charge on or before the first day of the following month. If the first day of the month falls on a weekend or a holiday, the payment may still be deposited in the utility drop box. Q: Is there an app for that? Yes! Check for available Xpress Bill Pay apps for your mobile device in the App Store. Q: What is the city’s Direct Pay Plan (EFT)? Residents without internet access may enroll in the Cedar Hills Direct Pay Plan. 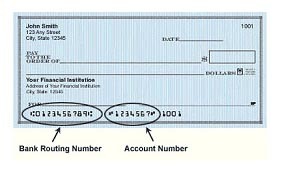 With this option, residents can automatically pay their monthly utility fees from a checking or savings account via Electronic Funds Transfer or EFT. There are no checks, no stamps, and nothing to “drop off”– it’s automatic, free, and easy. To enroll, come to the city office to complete an authorization form and submit a voided check. The form can also be downloaded below for printing and mailed or delivered to the city office along with the voided check. Download the Utility Direct Pay Form.